The Bumble Bee Metal Bucket is a classic and practical way to celebrate your next outdoor gathering. 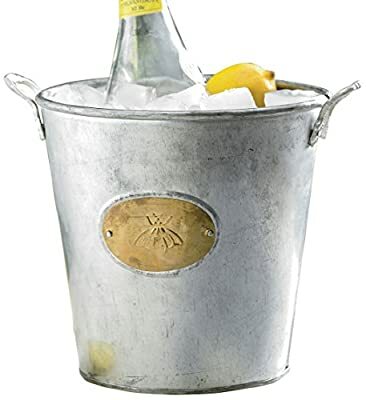 Made of durable galvanized steel with metal handles, fill it with ice and beverages and let the party begin. It is the perfect size for your next party or event measures 8x8x12". The bucket is decorated with a Bumble Bee plate and doubles as a beautiful planter or flower holder.